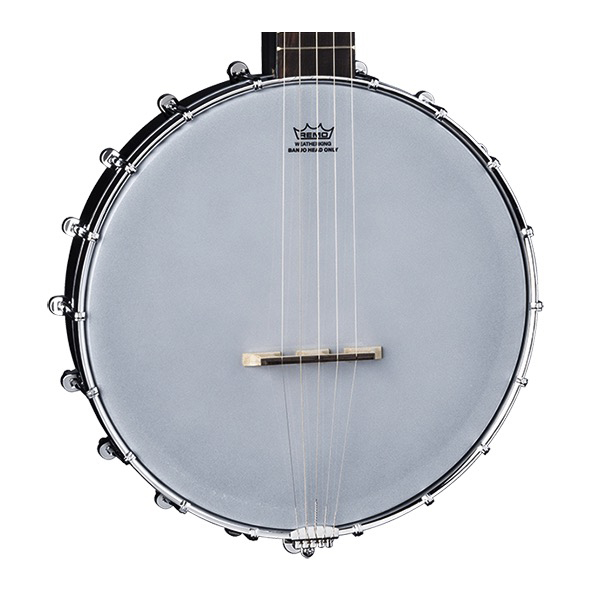 Get ready for tons of fun when you get the Dean B3 Banjo Pack. 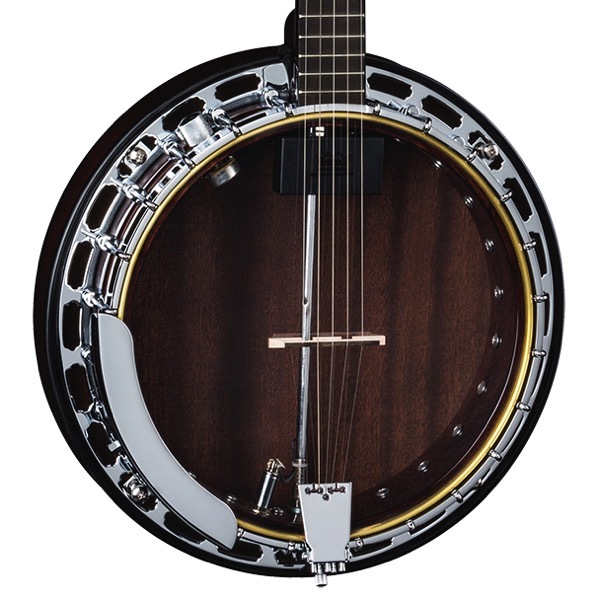 Playing this traditionally styled 5-string banjo with its 26-1/2"-scale mahogany neck is pure bluegrass bliss. 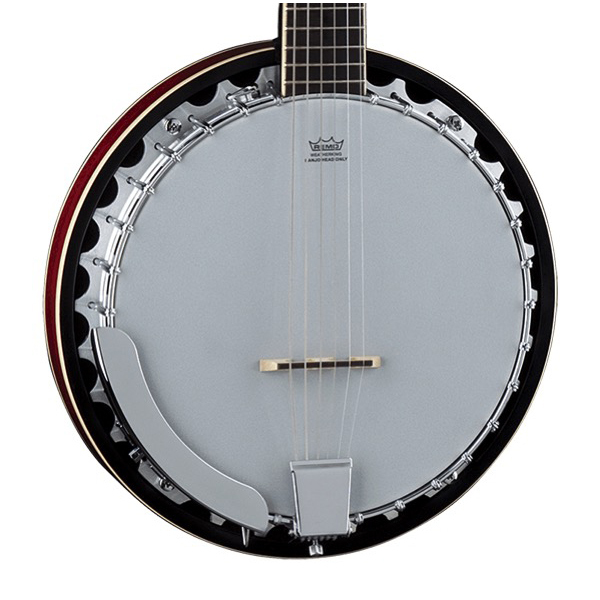 The banjo is embellished with a black walnut fingerboard, vintage open face tuners, a floating maple bridge with a rosewood saddle, and an anchored metal tailpiece. 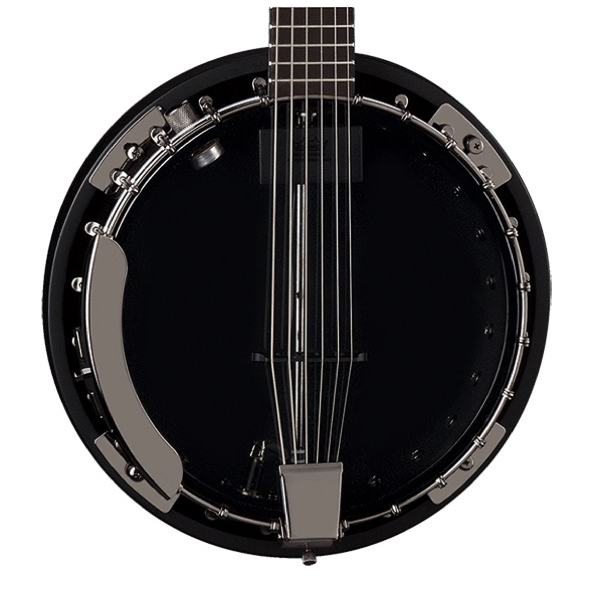 Other appointments include fretboard binding, dot inlays, and a Dean-styled headstock. 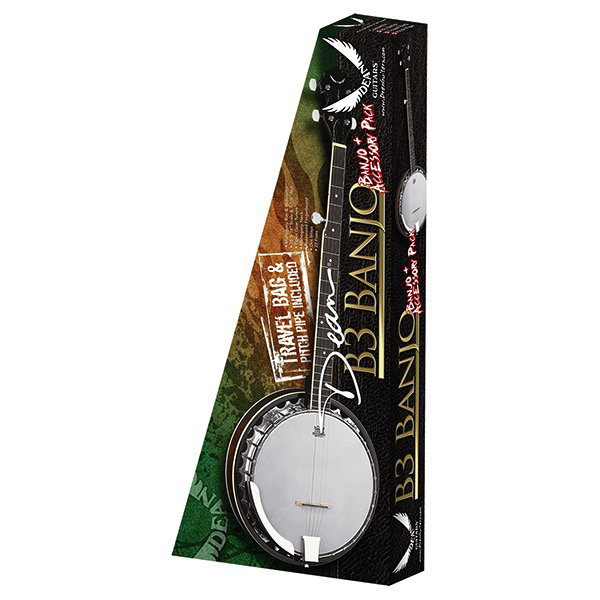 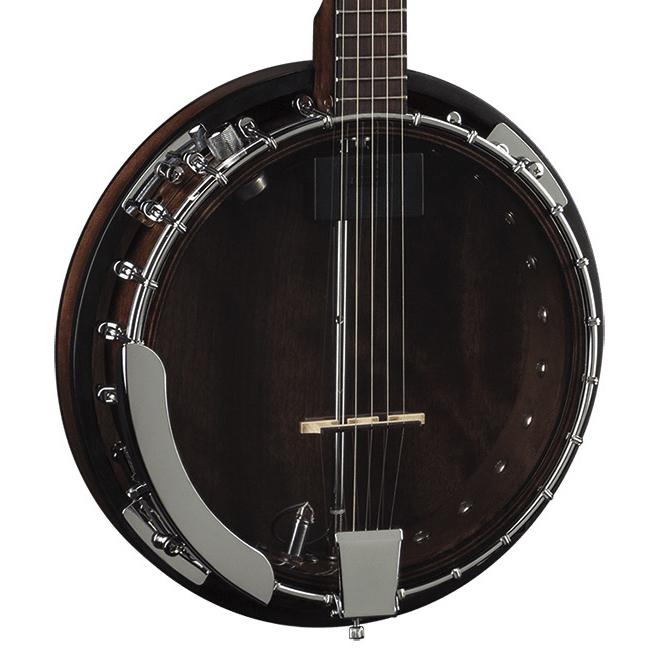 The Dean B3 Banjo and Accessories Pack includes banjo, gig bag, and pitch pipe.